Your wedding morning can be filled with nerves, tears, anticipation, champagne and excitement. Getting ready with the right people by your side will help you conquer the day - no problem! 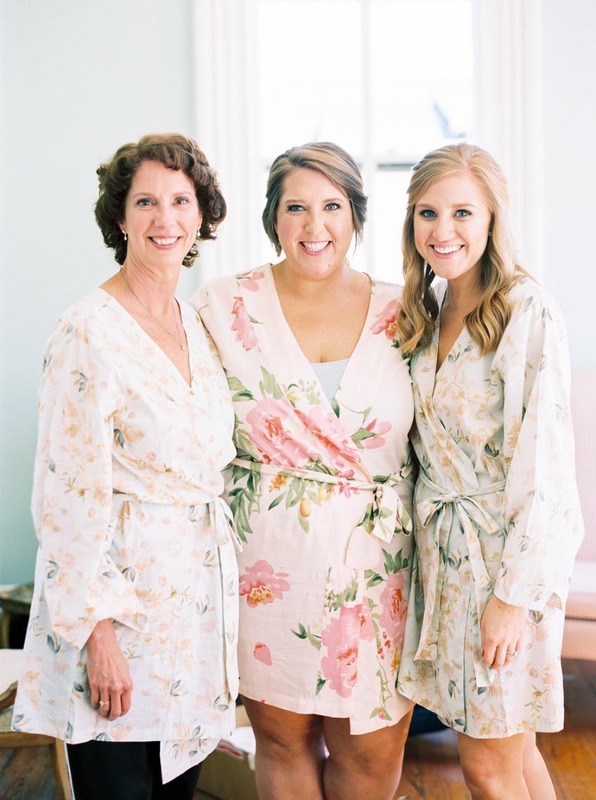 Beautiful Stephanie and her girls spent the morning getting ready in their favorite Plum Pretty Sugar robes. A blushing bride indeed! We can truly feel the excitement from here. Looking for something similar, but not quite a robe? Check out shortie sets or rompers from Plum Pretty Sugar. Why are robes always a good idea? Easy access baby. 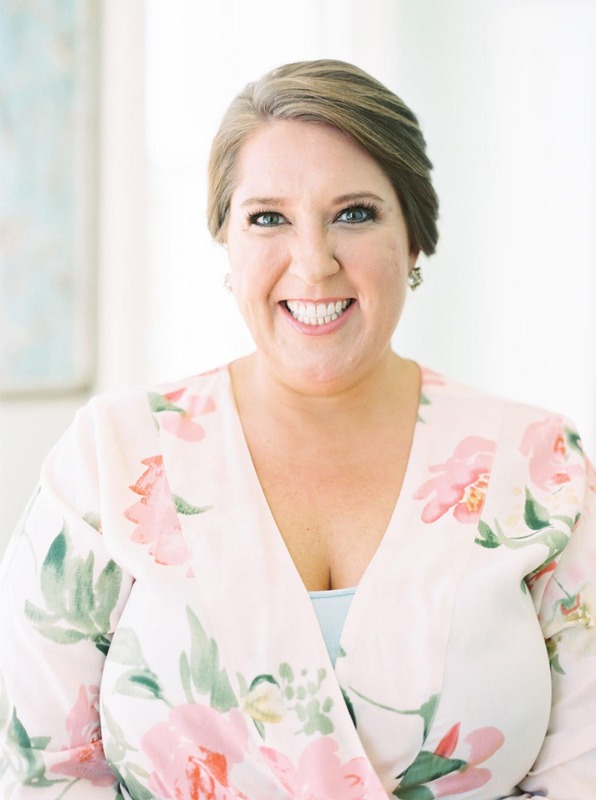 You don't want to mess up that pretty hair and perfect make up right before you slip on your wedding dress. Plum Pretty Sugar offer their robes in all different size options ranging from XS to XXL. You can choose from beautiful solid prints, frilly trim and pretty florals along with knee length, midi length and ankle lengths. Literally options for any one of your gal pals OR even your right hand man! We love how Stephanie mix and matched the floral prints, it made for some sweet photos. 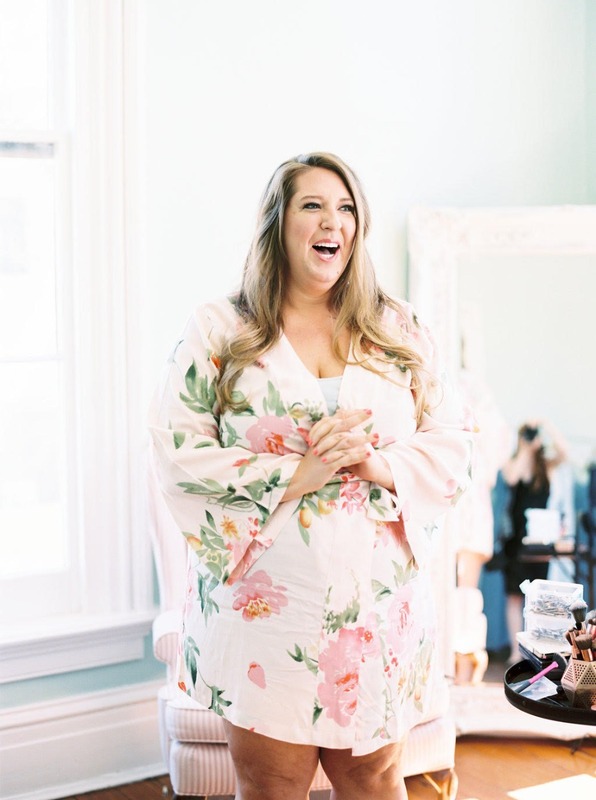 Make sure you take a minute to peruse all the different robe options to find that one you just can't live without. Eek! Brides - seeing your make up and hair done for the first time is such an exciting feeling. I can say this from experience. You are one step closer to walking down that aisle and you are looking gooood. Hopefully feelin' good too! 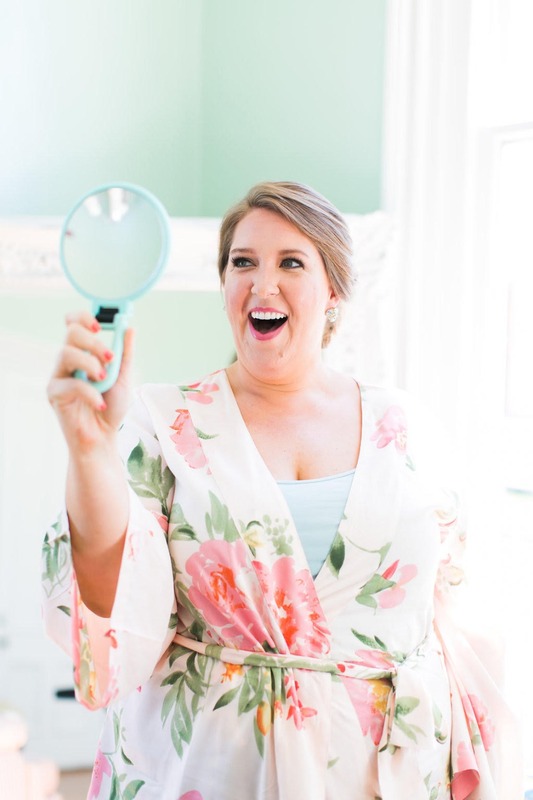 How cute is this picture of Stephanie soaking in her bridal look? The up-do really makes her shine! Congrats to you, girlfriend. 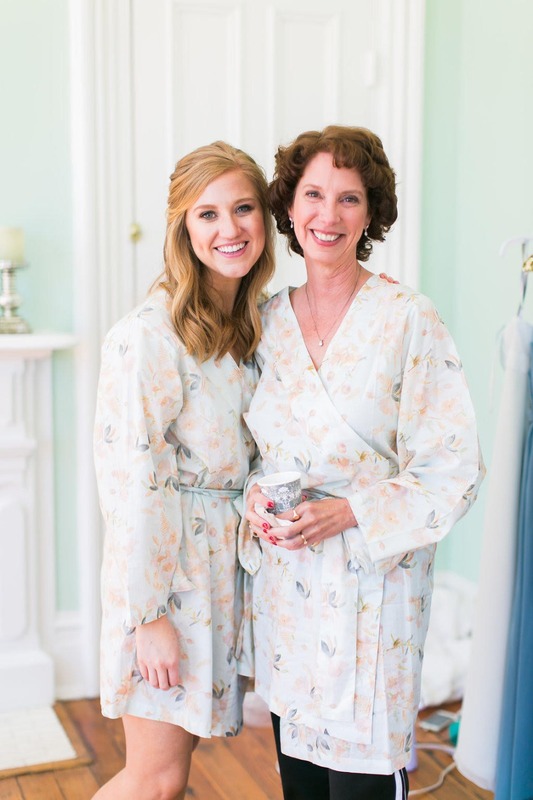 Also a major plus: these sweet robes are the perfect memento for you to reminisce over your best day ever. Super easy to pack up and take on your honeymoon too. Which robe will you wear?